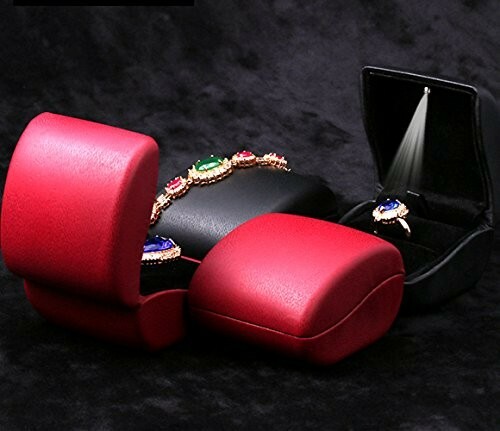 Gorgeous, stylish and fashionable, this amazing jewelry earring box is a most beautiful and outstanding item of jewelry display and it will definitely offer a most satisfactory and elegant presentation of your earrings! The box was designed out of sturdy and strong plastic material and it’s got a chic and clean-cut square form. The box is sporting a rich and chic purple color, yet you can also the red colored version as well. 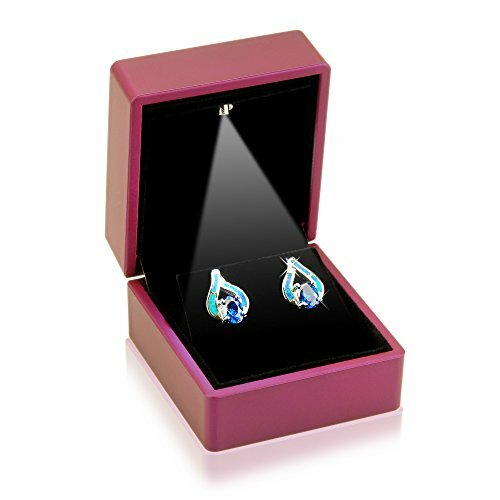 In addition to that, the box has been equipped with a beautiful and professional LED light too that will keep your precious pairs of earrings under the spotlight all the time, which makes it even more suitable for the display of your beloved jewelry. 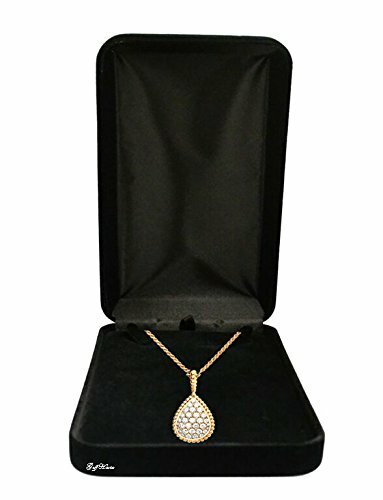 The interior is completely cushioned with a soft and elegant black colored velvet that will also keep your jewelry safe from getting dented, scratched or damaged. This box features a compact and intelligently designed shape that will allow you to take it anywhere with you without a problem. It is attractive, gorgeously crafted and it will definitely be very much admired by all your friends and clients! 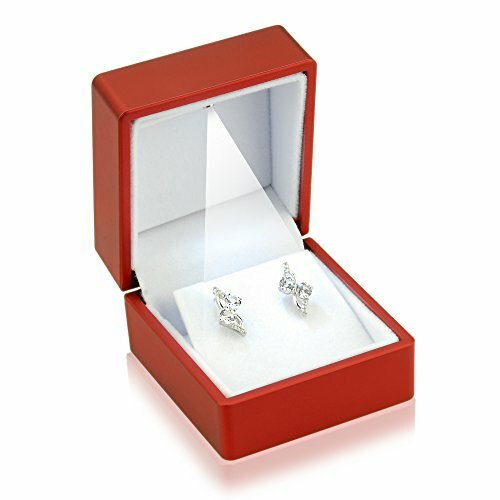 It’s got a sturdy build that will protect your jewelry and a remarkable and attractive design that will stand out at all times, so if you want to offer your jewelry a more special display, then this amazing box is the perfect choice! 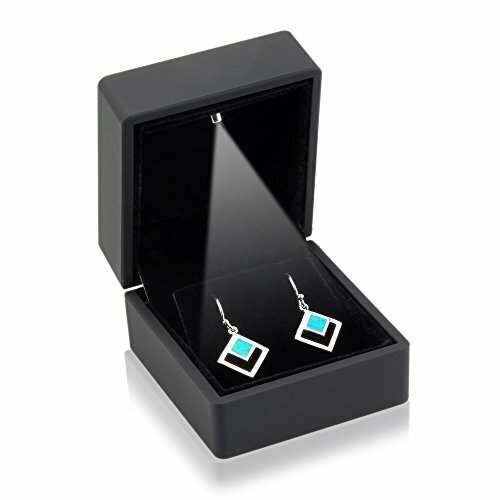 The dimensions of this gorgeously designed earring box are the following: 2.5″ X 2.25″ X 2″ Inches and its weight is 1.6 ounces.